Starting school is a major milestone, find out how you can help your child confidently manage their food allergy in a school environment. In these settings, your child will be in contact with many staff members and other children each day. They may move around to different locations, both inside and outside the school or childcare centre. Since there can be risks in different places — classroom, lunchroom, cafeteria, or the playground — procedures should be in place to manage food allergens. This is also true for special activities, such as class trips, after-school programs and bus travel to and from home. There are a number of ways to help keep your child safe at school. Print out our Back to School Checklist as it’s a useful tool to help you prepare for school. Complete the Anaphylaxis Emergency Plan for your child and share it with the school. It includes your child’s name, photograph, and specific allergy or allergies, and should be posted with discretion in the areas of the school where it is needed. 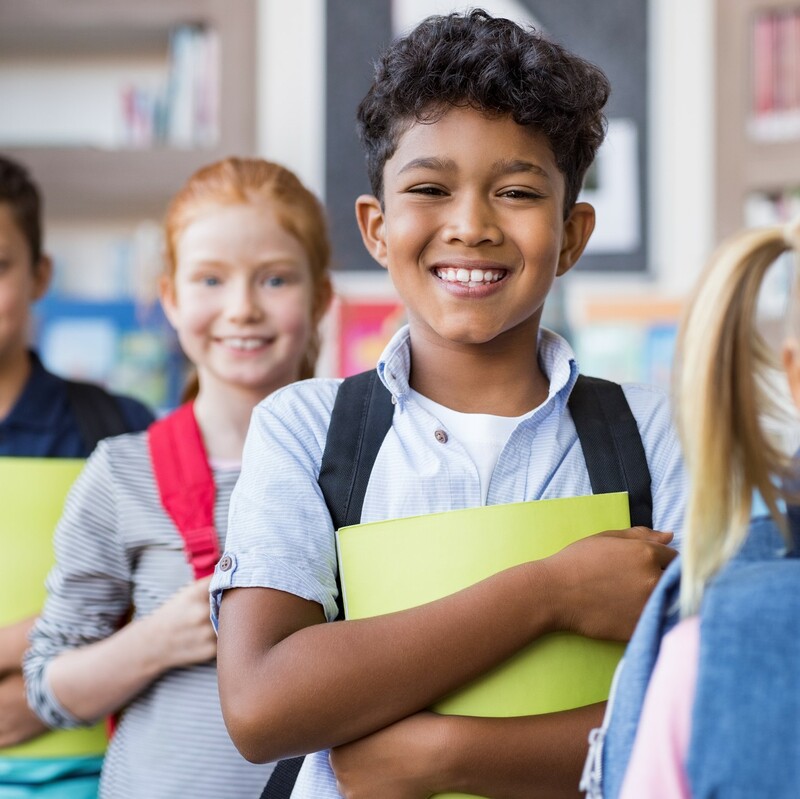 Review the Anaphylaxis in Schools and Other Settings guidelines – this is the national guidelines for anaphylaxis management in Canadian schools. Look up the National School Policies by province to understand what is required in your province. Provide safe treats for your child, to be stored by the teacher for special occasions. Talk with your child about situations that may arise during the school year (such as being offered food by another student), and discuss how to respond. Make sure your child’s auto-injectors are up-to-date (not expired), and practise using the auto-injector with your child. Recommend our Elementary Allergy Awareness Challenge program to educate students about food allergies. It provides educators with free lesson plans, activities and worksheets for students. It is available for High Schools. Encourage educators to take an AllergyAware.ca course. 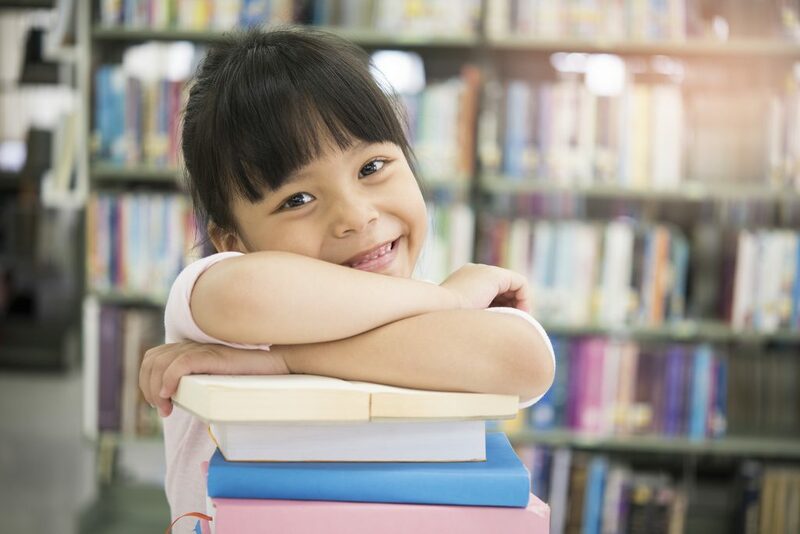 Offered in English and French, AllergyAware.ca features free online courses on managing food allergies and anaphylaxis in the community, schools, and child care settings. The online courses are medically reviewed, mobile-friendly and easy to follow. Each 30-minute course covers the basics of anaphylaxis, ways to reduce risks, and what to do in an emergency. 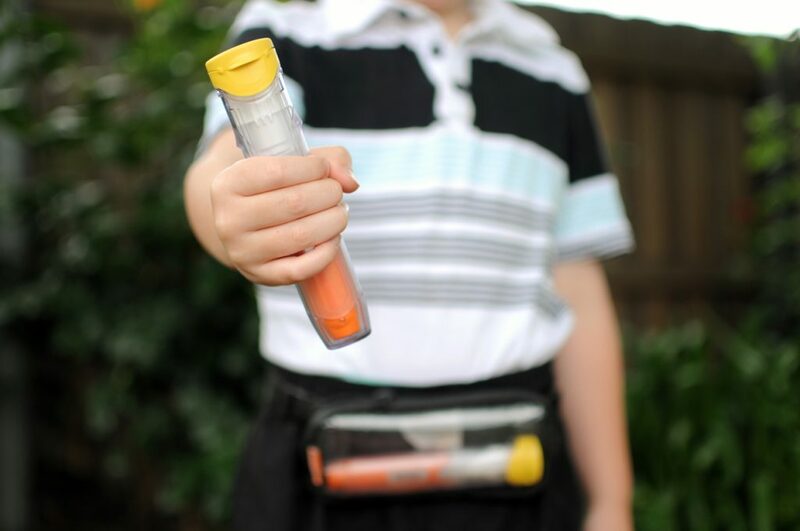 When should your child carry their own epinephrine auto-injector? The answer is different for every child, depending on development and maturity. Most children are able to “self-carry” by Grade 1. Once a child is ready to carry their own auto-injector, they are on the road towards living confidently with food allergies. Most parents meet with teachers before the start of each school year, to discuss their child’s allergies and answer any questions. Talking to teachers and staff about your child’s food allergies is a balancing act. You will need to get the seriousness of the allergies across to them, ensuring that they understand. You will also need to let them know that you’re a partner, willing to help and educate along the way. Arrange to meet with your child’s teacher and other staff well before the school year starts. Choose a day and time where things are quiet at the school and you can have their full attention. Talk with teachers and staff about preventing reactions in a school setting. See our Resources for Educators page for more information. Discuss your child’s Anaphylaxis Emergency Plan step by step, and use an auto-injector training device to practice with the teacher and staff. Training devices can be ordered for free from epipen.ca. Do teachers and staff understand the signs and symptoms of anaphylaxis? Are they trained on how to use an auto-injector such as EpiPen? Do they understand that it is important to use it in an emergency? For a young child, will the auto-injector be accessible to staff during both indoor and outdoor times? For an older child, does the school understand the importance of being able to carry one’s own epinephrine auto-injector? What is the school’s food policy? What foods are served and how is food prepared? What rules do they have about food allergies (such as rules against sharing food)? We have a free online course, Anaphylaxis in Schools, for school staff. This interactive course covers the basics of anaphylaxis, ways to reduce risks, the emergency treatment and the roles and responsibilities of the school community. In your initial meetings with the school, discuss what to do in an emergency. Make sure that teachers and staff understand the signs and symptoms of anaphylaxis, and how to respond. Bring an auto-injector training device with you and let the teacher and other staff practice using it. Auto-injector training devices can be ordered free from epipen.ca. Use your child’s Anaphylaxis Emergency Plan as a guide to the emergency steps. In Ontario, Sabrina’s Law requires that every school board in Ontario establish and maintain an anaphylaxis policy covering students with allergies. It also requires that school principals develop an individual plan for each student at risk of anaphylaxis. Passed in 2006, Sabrina’s Law was the first legislation of its kind. Today, many provinces and territories have modelled legislation or policies on Sabrina’s Law. Find out about legislation and policy in your area.